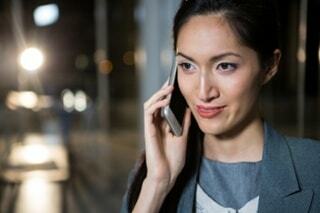 > Blog > I Have Poor Cell Signal in My Office Building, How Do I Fix It? I Have Poor Cell Signal in My Office Building, How Do I Fix It? If you’re a building owner or manager dealing with a poor cell signal in an office space, the question of how to remedy the problem is likely familiar. This may be especially true if you’re regularly hearing the grumblings of unhappy tenants or employees who expect quality cellular coverage to be a given as part of their lease. In an age where people expect to be constantly connected, poor or no cell signal is unacceptable — and even more so when it comes to paying tenants. There are countless business functions for which they rely on strong cellular signals. Dropped calls, slow browser loads, and slow download speeds can wreak havoc on businesses, both internally, and with customers that visit your tenants’ offices. Landlines and intercom systems are long gone. Today, business teams rely on robust connectivity to communicate via platforms like Skype and Slack, and to collaborate via cloud-based platforms like Google Apps and Microsoft Office 365. When connectivity issues hamper the effective use of these applications, productivity and morale suffer. Furthermore, customers and clients visiting your tenants’ businesses expect to be able to quickly and easily get online to access personal information they may need when meeting with a lawyer or mortgage banker, for instance. There is nothing more frustrating than trying to pull up a document or record, only to have the page fail to load. Whether poor signal is plaguing the entire building, or there are just known “dead zones,” the construction and infrastructure of the building itself are often the main culprits in the loss of signal. Common building materials like concrete to steel can impede cellular connections. Even if your building is in an urban area surrounded by cellular towers, the signals they emit may not be able to penetrate some building materials. The first step is to identify the areas of your building where cellular signal strength are weakest and strongest. Many people rely on the bars they see on their phone to measure signal strength. But those bars have little to do with the actual strength of the cell signal within your office building. There is no standard for what the bars mean or what they measure, be it data or voice performance across 3G, 4G, or 5G networks. The number of bars is also subjective to the cell service carrier, the phone manufacturer, or even the way you hold your phone. You can get a more reliable measure of your building’s cellular signal strength by using the “field test mode” options available on both Android and Apple iOS devices. Working with a professional who can perform a comprehensive site survey using a professional-grade signal meter is the most reliable method for identifying cell signal strength and weakness, however. These meters accurately detect and display signal frequency, bandwidth, and strength under all conditions. What can be done to improve the signal? The good news is that there are cell towers just about everywhere these days — even in non-urban areas — and the signals from these towers can be used to boost the cellular signal within your building. Through the implementation of a passive distributed antenna system (DAS), you can significantly boost the cell signal within your office building. Passive DAS captures outside cell signals and amplifies them as much as 32 times. Those signals are then rebroadcast within the building, giving tenants the strongest signal possible. Because passive DAS is carrier agnostic, anyone in the building can access the boosted signal, regardless of their cellular carrier. Passive DAS is an affordable and effective option for office building managers and owners because it can be installed in a matter of days at a fraction of the cost of competing solutions. With these improvements, you’ll no longer have to deal with the issues — and unhappy tenants — that result from poor cellular connectivity. 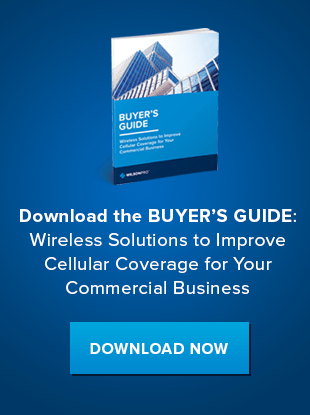 If you’d like to learn more about how a passive DAS solution can improve the cellular signal in your office building, contact WilsonPro today.